We're now at the beginning of March. Despite our best intentions, we have not finished selecting stories from our first submission period. The good news is that we have at least finished reading all the stories, and the ones we haven't rejected yet are all finalists. The bad news is that we have over forty finalists, but slots for only ten stories. So it's time for some hard decisions. What's next? First, we've already accepted two stories to be published in April and May. We did this so we can edit those stories in time to meet our Patreon commitments. Both of those stories will be made available to our $10 and above Patreon supporters on April 1st (coincidentally, also Easter Sunday), and the April story will be made available for our $3 and above Patreon supporters that same day. For everyone else, the first story will be published on the website on the fourth Monday in April, which is the 23rd. So if you want to read the story three weeks early (and the second story eight weeks early), you can join our supporters on Patreon. By the end of March, we hope to have selected the remaining eight stories for the rest of the year (one each month, and an extra story for July). Our plan is to do something similar to what we did last time. We'll independently rate each of the stories low, medium, and high, with the limit that we can't rate more than five stories high and must rate at least ten stories low (a bit different from last time, but this reflects that we'll only have eight open slots and forty plus stories). Any stories we both rate high will probably be accepted, and any stories we both rate low will be rejected. After that, there will likely be some horse-trading to ensure that Donald and Kristin both get their favorite stories in. We'll also make sure we have enough of different kinds of stories--that we have a good mix of science fiction, fantasy, and horror, that at least 75% of the stories are original rather than reprints, that we have some stories with action, that they don't all have Catholic priests as the main character--that sort of thing. Packing boxes at our old apartment. Unpacking boxes at our new house. 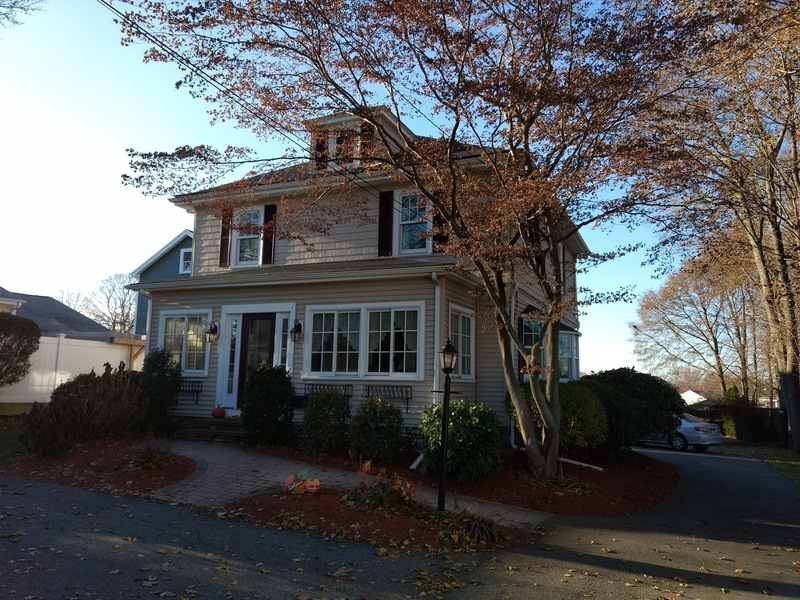 We've moved to a new house, from Arlington (north of Boston) to Quincy (south of Boston). 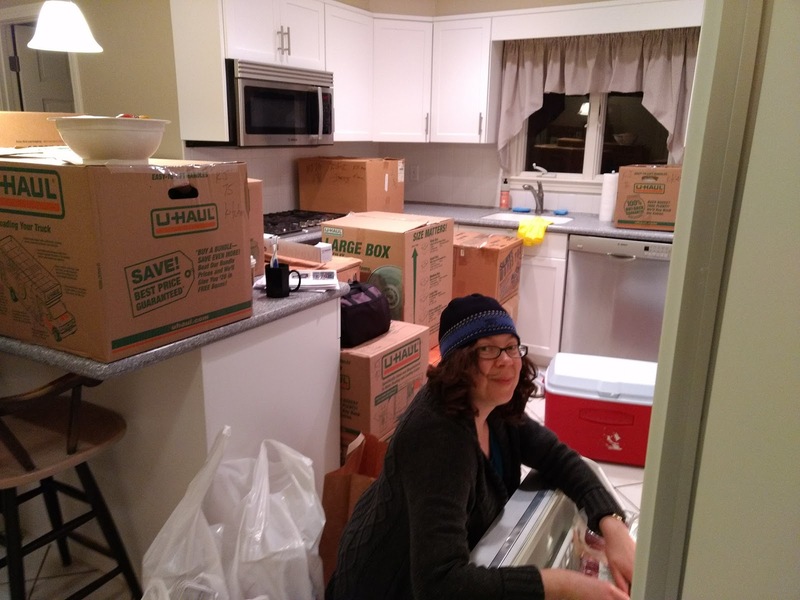 For how short a move it is (about 16 miles as the crow flies--or 40 minutes as the Bostonian drives), it's still been an immense amount of work, and we expect to be unpacking for the next few weeks months years. But for now, here's a pretty picture of the house. The new house, early on the morning of the inspection. 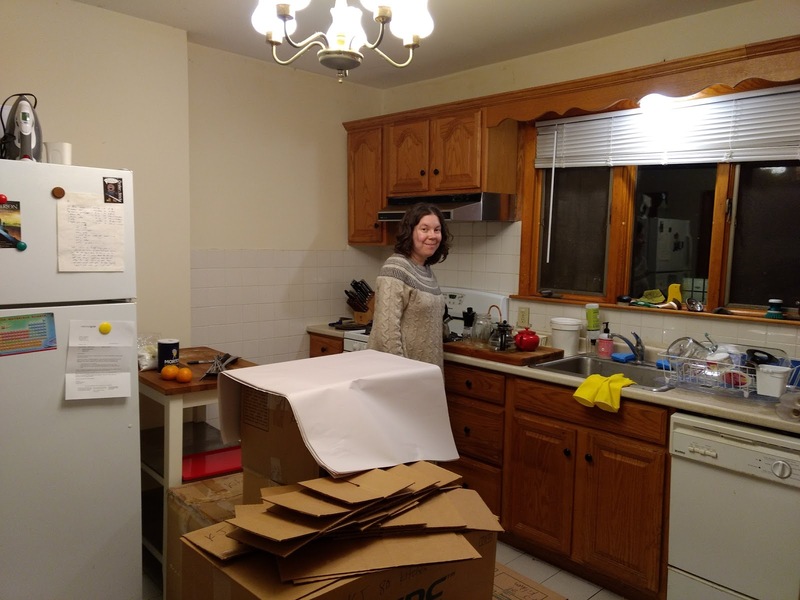 We'll have more room in the new house, and individual offices where we can continue to work on Mysterion, or our own writing (or in the case of Donald, play video games when he should be doing one of those first two things). That'll be sure to make us more productive, right? Finally, we'd like to thank our First Readers: Hannah Eagleson, Lelia Foreman, and Travis Perry. Their work in taking the first pass through the stories really helped us to get through our submissions as quickly as we did, even with the move. We've now added their bios to our About page. Want to be among the first people to read our stories? Support Mysterion on Patreon!